If hiking is your true passion, look no further. We’ve scoured the web and created the ultimate list of places to live for the true trail addict. Why wait until you retire to do the things you love? Move to a town that embodies the hiking culture you dream about and never look back. Finding the best towns in America for the hiking die hard was not an easy task. We compiled a list of hundreds of communities previously highlighted throughout top publications touting them as the best outdoor-centric destinations across the country. We then ranked these list-worthy cities on a number of factors that other publications skipped. Ultimately, our goal was to find locales that are not simply destination-type towns, which close the shutters after the season is over. The communities that made the final cut are built around the idea of being outdoors, but they also provide opportunities for stable employment, affordable housing, and access to off-trail amenities including arts, dining, education, and culture. These communities provide an ideal environment to raise a family or thrive as an individual. All that’s left is to pack up the station wagon, find your atlas and hit the open road. Your dreams of long days spent on the trail are within reach, just point your GPS to one of the 15 towns below. This is not your typical list of the best outdoor towns in America. We specifically focused on locales where hiking reigns supreme. Sure, these towns all have other draws like mountain biking, kayaking, skiing, and countless breweries, but if placing one foot in front of the other out on the dusty trail is what you seek, these are the places to consider moving to. Cities like Portland, Seattle, Denver, Boulder, and San Francisco are great places to live with obvious access to the outdoors, but we wanted to highlight places that didn’t require seven figures to own property, and don’t have two-hour commutes to crowded national parks. What we ended up with is a list of vacation-worthy destinations that you can actually call home. So, if you’re tired of the urban grind and the trail is calling your name, it’s time to take your work and life somewhere new. Embrace the simplicity of wandering single track and meandering through nature by moving to a town better suited to your idea of living. All locations picked for this article support year-round habitation with opportunities for work that are not 100% reliant on seasonal tourism. Trail access must be part of the immediate surroundings (within 30 miles from the city center). Sole access of over an hour away disqualifies a town from this list. Access to other trail systems over an hour away is an additional perk. Local culture geared towards outdoor access like town managed trail systems or events surrounding recreational initiatives were taken into account. A Niche score of B- or better was required. Niche grades and rankings are calculated using dozens of public data sets and millions of reviews. Niche is independent from RunRepeat. 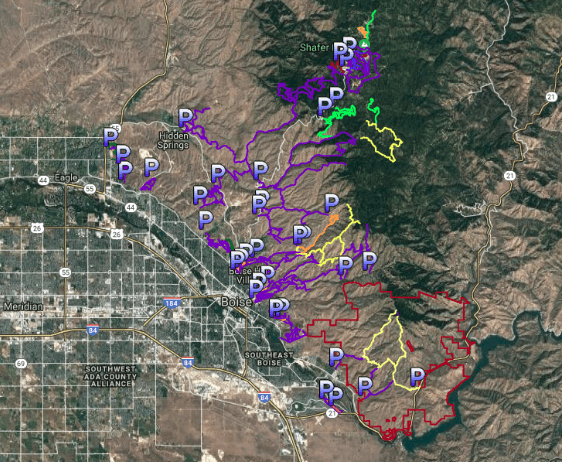 Trails.com and Hikingproject.com were used to judge the amount and quality of local trail systems in or around each location. Selection criteria helped guide the rankings of this list, however, some subjective grading is inevitable as towns cannot be solely compared on exact terms. RunRepeat is in no way associated with any of the towns or cities featured in this article. Congratulations to The City of Trees, Boise Idaho, for topping the RunRepeat list of most desirable hiking towns for the true trail lover. Idaho’s capital city is poised perfectly amongst Treasure Valley which sits between iconic mountain ranges and stunning western rivers. Don’t let Boise’s antiquated claim-to-fame trick you, yes they have potatoes, and fortunes have been made on the backs of those brown spuds, but with over 200K residents, Boise is more than just a sleepy western farming community. 157 local area trails add up to over 340 miles of adventurous single track designed to get you out of the office and into nature. Bosie not only has the most local trail options and miles out of any other town on our list, but the variety is amazing. The famous Ridge to Rivers trail system is the true gem and a key reason why Boise was selected as the #1 hiking town in America. Over 190 miles of trail connects downtown to the wild Sawtooth Mountains just to the northeast. This trail system, although local, expands well into the larger Idaho wilderness. Just east of Boise you can pick up the Idaho Centennial Trail which travels over 1000 miles from the Nevada border to the Canadian one. The Ridge to Rivers system has something for everyone. While other land management units are outlawing user groups, Boise has embraced them. Hikers, bikers, and even hotly debated e-Bikes and Motorized toys have trails designed for their use. 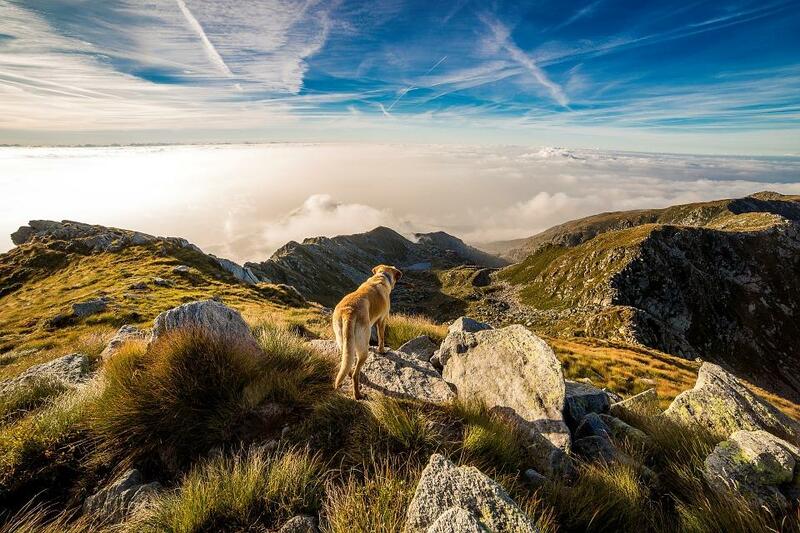 Love your dog, but hate the rules around the country limiting where you can go? Your furry friends are welcome throughout the R2R system, and even allowed off-leash on a handful of trails. The system was planned intentionally to preserve the hills on the city’s edge and comes complete with a 10-year management plan, created through contributions from thousands of community members, who are encouraged to get involved through various volunteer opportunities. 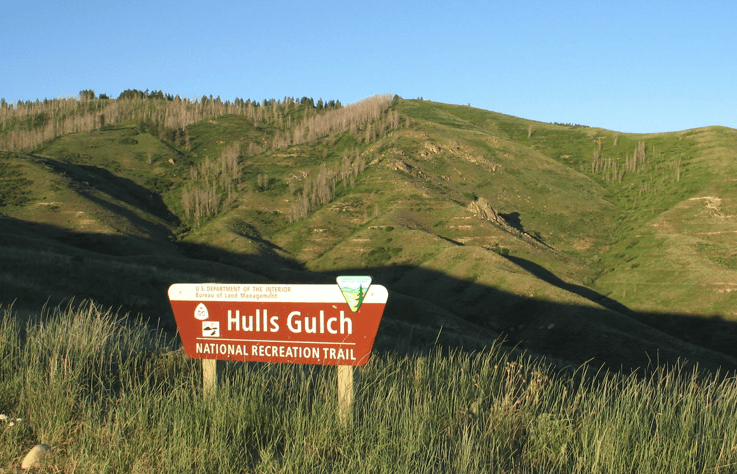 If you’re short on time try the local Hulls Gulch Interpretive Trail, which is accessible from a trailhead on the north end of 8th street, just walking distance from the city center. Also popular is the Table Rock Area which features multiple trails offering amazing views of the city and surrounding valley. Watch the sun dipping below the western horizon from this perfect perch and you’ll truly understand why Boise sits atop this list. 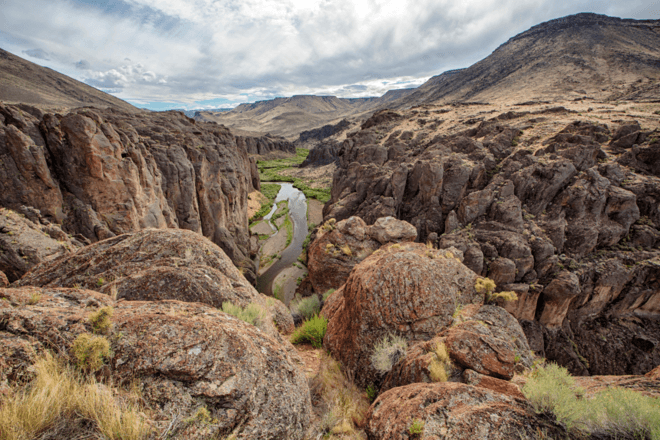 Once you churn through the seemingly endless options of the R2R system, head southwest out of town and hit the Owyhee Mountains, one of the last explored wilderness areas in the lower 48. Adventure abounds with over 141 peaks throughout the range like War Eagle Mountain or the still unnamed Peak 6302. Spending a weekend in the Owyhees will make you forget civilization exists as you’ll rarely cross paths with another human. Point your compass straight east and you’ll soon hit the Owyhee Canyonlands waiting right across the Oregon border. The dip to lower elevations will delight the desert canyon hikers in any group. With more land than Yellowstone National Park, only three paved roads, and almost no cell phone service, it’s a true escape from the bustle of downtown Boise. Don’t have time to get away or looking for more than just hiking? 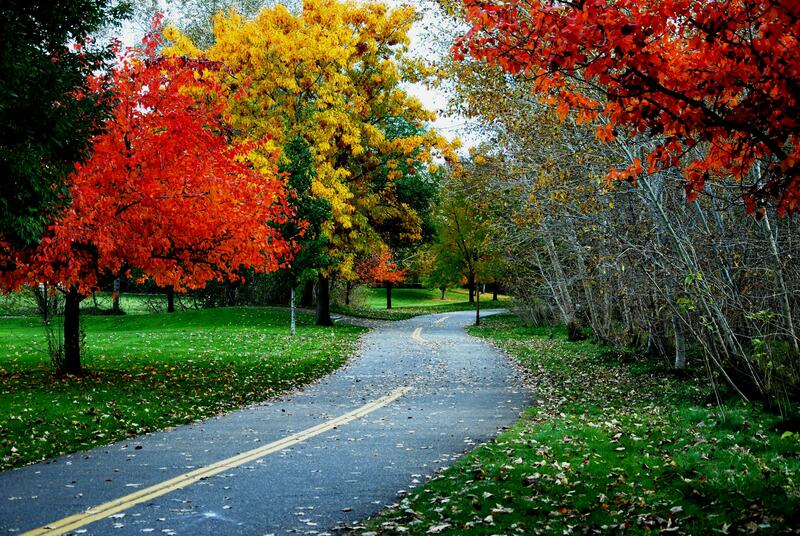 Boise’s extensive urban trail system called the Boise River Greenbelt is a 25-mile bike and pedestrian path along the Boise River. The Greenbelt has it all, rope up year-round for over 100 sport routes at the Black Cliffs, or throw a line into the river and cast for steelhead and trout. Float on downstream to the Boise River Park and surf crashing waves to your heart’s delight. At the end of the day hit up the Payette Brewing Company for a tasty riverside brew. In winter, Bogus Basin Ski Area is only 16 miles from downtown and has over 1,800 vertical feet of exciting terrain, with over 10 different lift options. Biking and hiking trails are open all summer too! Boise also hosts a state university with over 24,000 students which gives this progressive town a hip culture with tons to do both on and off the trail. Boise’s full of rich cultural attractions, like the indie rock gathering Treefort Music Fest, which is one of the West's best alternatives to South By Southwest. 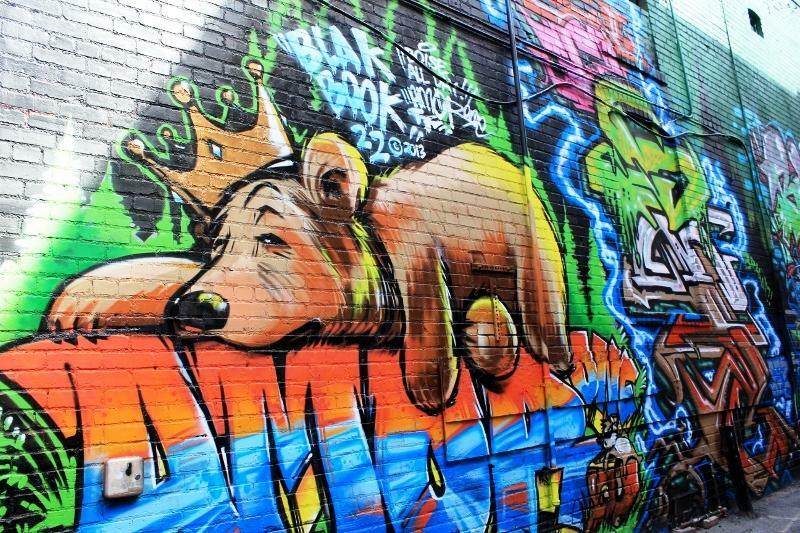 The city also boasts a plethora of artistic options from the Boise Art Museum to the Egyptian Theatre and Freak Alley. Boise even has its own Zoo within city limits with over 80 species from snow leopards to giant anteaters. 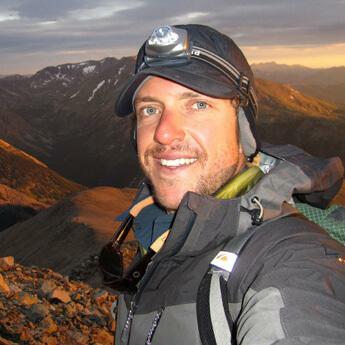 These are reason enough to make the move to The Gem State, but Boise's robust economy anchored by companies like Albertsons, HP, and Micron Technology ensures gainful employment to those who can take a few days a week off from their outdoor pursuits. Boise’s industry is diverse, accommodating just about any career background especially if you’re in healthcare, social services, or retail trade. With median household income at over $52K a year, and median home values just under $200K, Boise has a strong ratio between income and housing costs, meaning residents most likely can afford to buy a little slice of the American dream. Most residents work in town as well, with an average commute time of under 18 minutes, beating both the Idaho and US averages. Don’t want to drive? Boise is a silver-rated city by the League of American Bicyclists which means bike lanes, parking and awareness abound making a bike commute a breeze. The state best known for potatoes demands your attention should your desires to explore nature on two feet drive you to a life-changing move across the country. 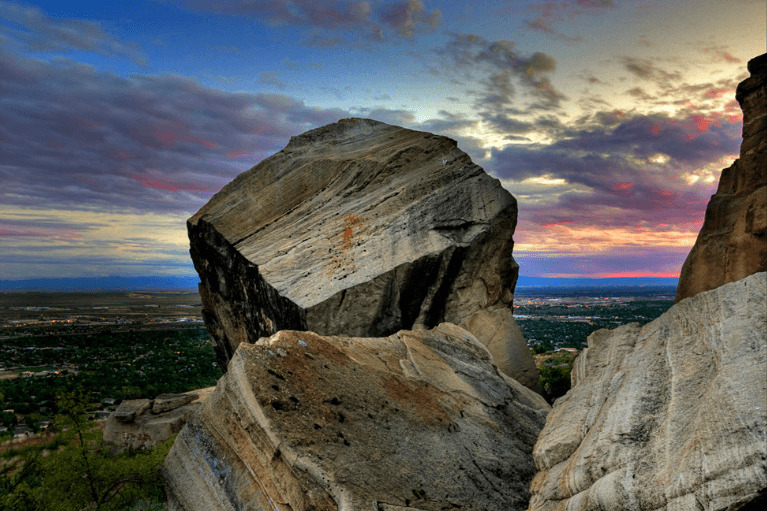 Think of Boise as more than just a town, it’s your gateway to that hiking-centric life you’ve always wanted! Coming in at #2 on the list of most livable American hiking towns, is sleepy little North Conway, New Hampshire. 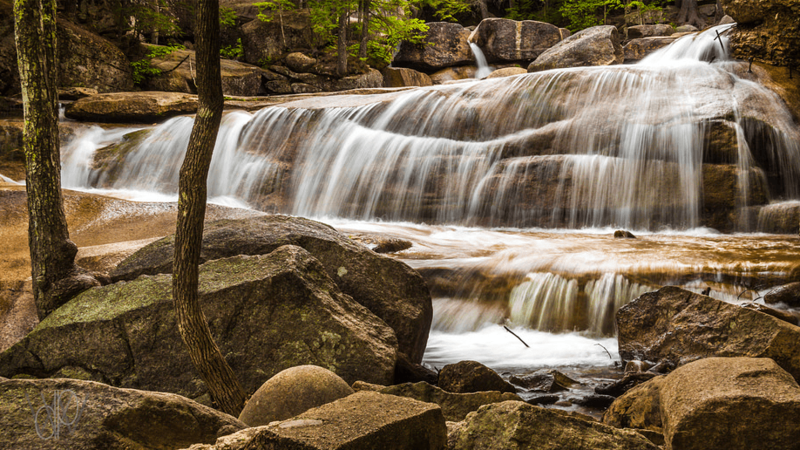 North Conway is the smallest town on our list with just over 2,300 residents, but don’t let its size lull you into believing your desire for an outdoor hiking lifestyle won’t be catered to here. Just outside North Conway’s front door is over 700,000 acres of protected national forest with endless adventure to be found year round. Although 100 times smaller than Boise, North Conway features almost 70 miles of local trails with 41 different options to choose from, which is an impressive feat for a town this size. Nestled into New Hampshire’s White Mountains, North Conway is the perfect relocation-worthy destination to satiate your trail fever. The trails in this area are varied and diverse, from easy half-mile jaunts to pristine waterfalls like Diana’s Bath and Mount Washington’s arduous Tuckerman’s Ravine. Mount Washington’s summit sits at 6,288 ft. (the tallest in the Northeast) and houses the Mount Washington Observatory which holds the world’s record for the highest recorded (non-storm related) wind speed at 231 mph. North Conway’s White Mountains are also the keystone in the 2,200 mile-long Appalachian Trail stretching from Georgia to Main. The mountainous terrain of Northern New Hampshire is an awe-inspiring final leg to those thru-hikers heading north, and a daunting start to the southward journey. If you’re looking for more catered hiking, the Appalachian Mountain Club’s (AMC) Huts are a real treat, with comfy bunks, home cooked meals, and composting toilets. Your next overnight hike can be done in style with little more than water and snacks. Want a place to stay for free? The AMC Huts will let you work for your nights stay too. Can’t beat that if you’ve still got a bit of energy after a long day’s trek. 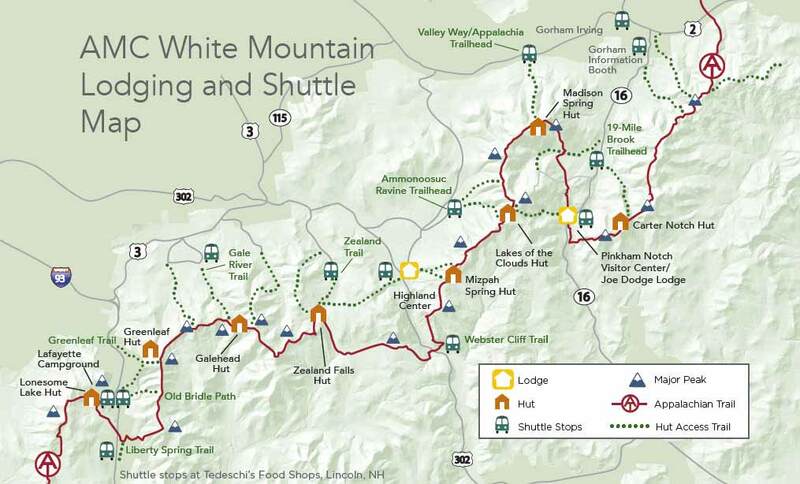 The AMC features a robust shuttle system which means you can access the AT or sections of North Conway’s local trail system without the need for complicated logistics. Instead of an out-and-back, enjoy starting your hike at one trailhead and ending at another without the need for multiple vehicles. When you’re not on the trail, other summer activities abound, from kayaking and tubing adventures on the Saco River to family-friendly train rides on the Conway Scenic Railroad. North Conway is also home to some of the best-developed climbing crags in North America, like Cathedral Ledge, which draws rock jocks from around the nation. In winter some of these classic routes transform into world-class ice climbing for those that won’t let the northeast’s opposing seasons slow them down. Once the snow hits, the fun is far from over. Featuring over 45km of cross-country ski trails, Great Glen Trails is a haven for winter enthusiasts. 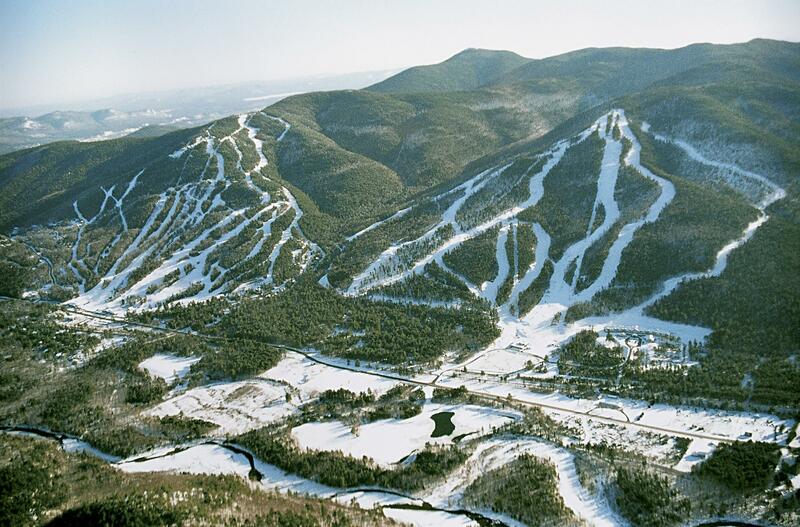 If downhilling is more your cup of tea, nearby Attitash Mountain has over 1,700 vertical feet of terrain and 68 trails to swoosh down all winter. On the days you aren’t out in the woods, the nearly 100 area restaurants and cafes in North Conway serve cuisine to delight any palate. If moving to small town USA scares you, or you’re worried that work will be hard to come by, North Conway actually had the best score on our list in terms of employee to population ratio, and although the median home value is quite a bit higher than median income, property in the North Conway area is still on average right around $230K, significantly lower than some locales that made this list, like Orange, California where the median property value is over $565K. Although the lion’s share of industry in town is tourism, North Conway has a strong year-round flow of visitors. There may not be as many opportunities in North Conway as larger cities, but the economy and workforce of the greater Mt. Washington Valley is growing at a healthy pace, there's a strong and budding tech scene, and with an average commute of 8 minutes, you can’t beat being part of a community like North Conway. In the end, the state’s assertive independence is intrinsically emblazoned in everything North Conway has to offer. Choose to call this destination your new home and you'll truly live free. Tucked away far from the bustling Denver metro area and Colorado’s front range, Durango is next on our list of move-worthy locales for folks with hiking in their blood. We all know that Colorado is rife with, mountains, trails, and trip-worthy destinations. Those like Aspen and Boulder, however, come with hoards of people, astronomical property values and little opportunity for career-type employment. 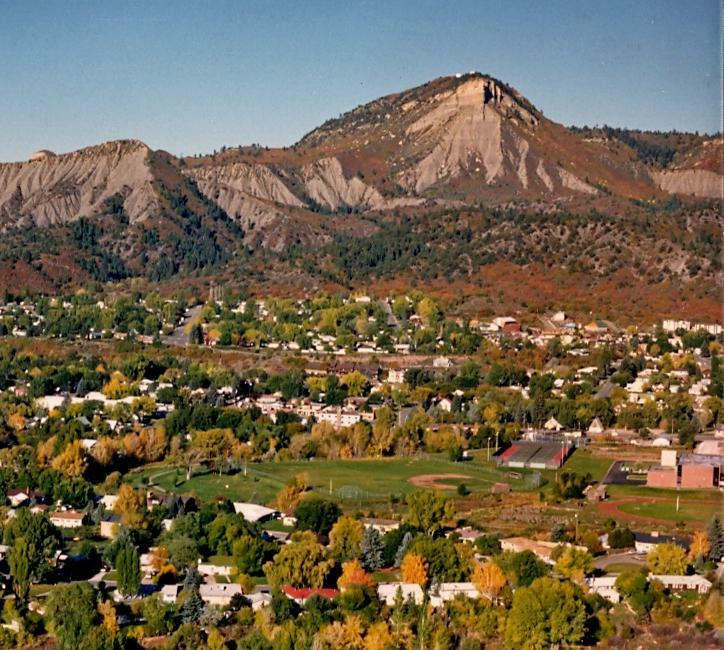 Durango, on the other hand, has seen slow population growth which is cherished in these parts. 10 years ago the town clocked in at about 15,000 inhabitants, and today is just shy of 18,000, which is a true feat as other Colorado locales see record growth and urbanization. With nearly 50 local hikes and over 115 miles of trail right outside of town, the outdoors are at your fingertips in Durango. Hikers can hit the Animas Mountain Trail on a lunch break and take in the amazing views of the Animas Valley from right above town. Looking for something a little more challenging, try Perins Peak, a local favorite just west of downtown. 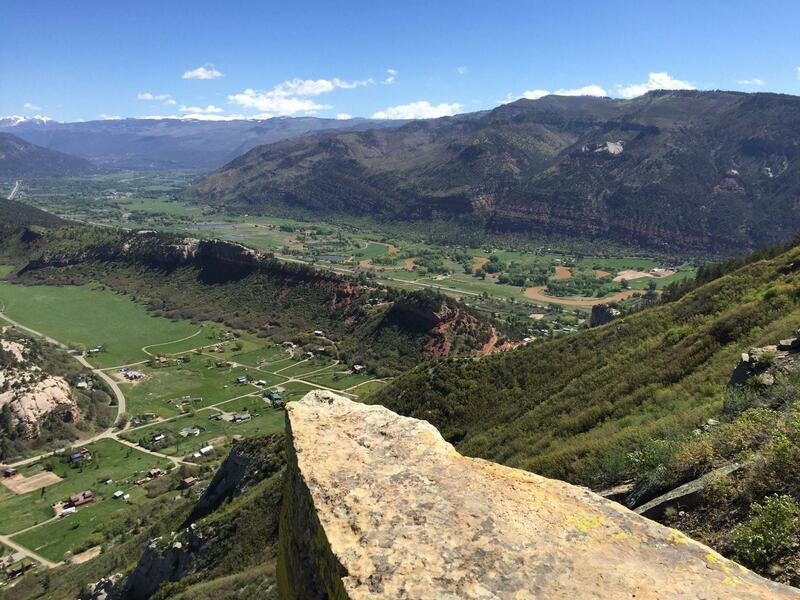 The 7-mile round trip hike winds up to sheer cliffs which are one of the most recognizable landmarks in Durango. Be ready to capture incredible pictures with one of the best views you’ll find. Just a few miles north of town the Hermosa Creek Trail winds for over 18 miles through an awe-inspiring canyon filled with broad vistas, breathtaking cliffs, and little-to-no human interaction. The Hermosa Creek Wilderness Area is one of the best summering grounds for Colorado’s elk population too if you fancy wildlife viewing. 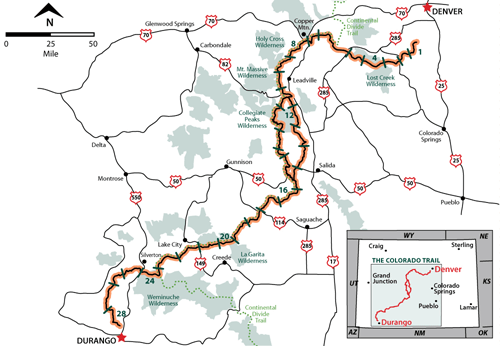 Right from town, Durango also boasts easy access to the 500 mile long Colorado Trail. Stretching from Denver to Durango, the CT is any high-alpine or thru-hikers dream. If you really want a truly unique adventure, the nearby Chicago Basin Grand Slam awaits. This once-in-a-lifetime epic is just another weekend getaway for Durango locals. 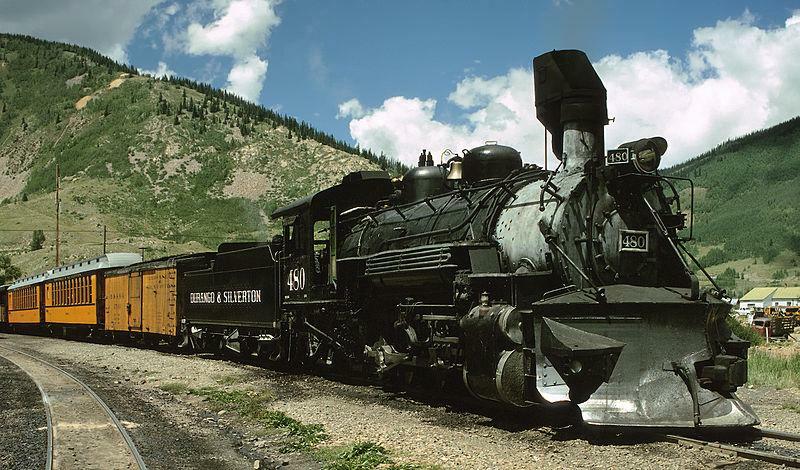 The trail is accessed by hitching a ride on the Durango Silverton Train, a steam-powered adventure back in time set on a narrow gauge track. The steamer will drop you off deep in the 487,000-acre Weminuche Wilderness along its journey to the small mining town of Silverton. As the sound of the horn fades into the distance, you’ll begin to feel the immensity of the large Colorado wilderness surrounding you. After a few days in the woods, and countless 13,000 and 14,000-foot summits, find your way back to the tracks and flag down the next passing train for a ride back into town. Thirty-five miles to the west of town is Mesa Verde National Park, where you can hike to the ruins of the Anasazi. From here, you’ve got unlimited access to the American southwest including the Grand Canyon, Monument Valley, Utah’s Canyonlands, and the vast San Juan mountains. As your feet begin to tire, there’s plenty to do around Durango other than hiking. Cool off on a hot summer’s day with a relaxing tube trip down the Animas River which runs right through town. The adrenaline junkies can head north a few miles for some of the country’s best whitewater and class V rapids. Although you can hike year round in the temperate climate of the Animas Valley, as seasons change, Purgatory Ski Resort springs to life just 20 minutes outside of town. Purg, as the locals call it, even features night skiing for post-work, weeknight runs. 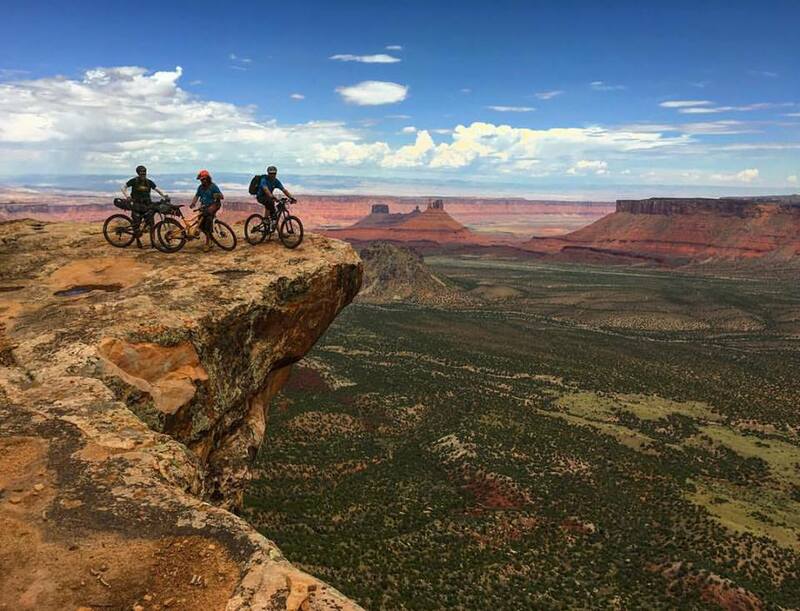 If you dabble in two-wheeled wilderness exploration, Durango is also host to one of the nation’s best bike-friendly trail systems and even hosted the inaugural Mountain Bike World Championship in 1990. Durango is, however, the most expensive locale to make our top 5 in terms of median property value ($380K), but it still pales in comparison to other nearby Colorado mountain towns. It’s also one of the highest on our list for median income ($60K) which helped solidify its #3 position. Being home to Fort Lewis College, it’s no surprise that educational services tops the employment industry list, but Durango also has a solid healthcare profession and tech services sector which make finding gainful employment here completely possible. If you yearn for a taste of the wild west, endless mountains and a gateway to both alpine and desert country, Durango offers everything a lover of the outdoors could ask for. Try it on and maybe soon you’ll be calling this hip little outpost home. 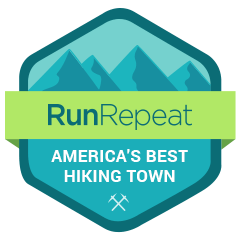 With over 330 miles of local trails, Asheville, North Carolina is next on the RunRepeat list of most livable hiking towns in America. Most could argue that Asheville could compete for the #1 position, and as a hikers paradise we couldn’t agree more, but living in the “Land in the Sky” can be expensive when median income and property values are compared, plus the lower ratio of employees to overall population means career work can be harder to come by in this picturesque town. With that being said, it’s still a hikers dream with over 3,000 miles of twisting singletrack throughout the nearby Pisgah and Nantahala National Forests and Great Smoky Mountains National Park. Although the rolling Blue Ridge Mountains in western North Carolina lack the rugged nature of the taller peaks out west, these are not to be passed over or considered for the faint at heart. The adventure is real and the views are stunning. 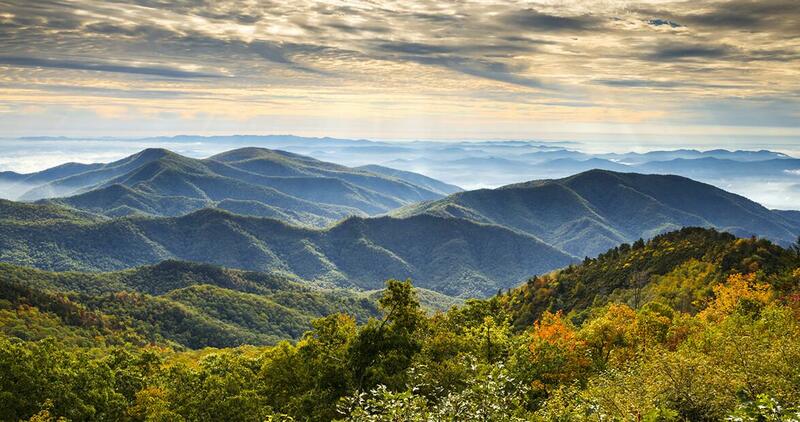 Summits like Craggy Gardens, Chimney Rock, and Black Balsam Knob are not to be missed. These are just a few of the countless gems that would be destination-worthy, but for the locals can be enjoyed as a happy hour activity. The Blue Ridge Parkway just outside of town is one of the nation’s most beautiful scenic drives and a hiking access mega highway. Stretching across the entire state, countless trail adventures spur off this National Park Service treasure. It stretches over 400 miles into southern Virginia so it may be a few years before you check off even half the hikes lying within reach of Asheville. Looking for a weekend getaway? Try out the Max Patch. This “Bald” is short but tops out with a view of Mount Mitchell to the east and the Great Smokies to the west. A “bald” is a hilltop without a single tree which makes for amazing sunset hikes, stargazing, or even an impromptu game of frisbee. 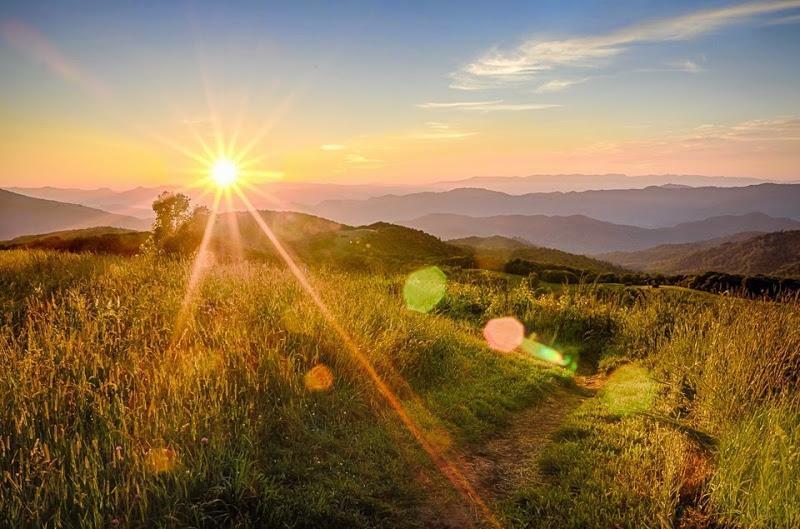 The Appalachian trail even crossed the open swath of the Max Patch meaning you may get an opportunity to meet a few of the hearty souls attempting the 2,200-mile journey. Should peak bagging be in your blood, Mt. Mitchell is less than an hour away and stands as the tallest mountain east of the Mississippi at 6,684 feet. The round trip hike on the Mt. Mitchell trail is just over 11 miles with over 3,600 feet in vertical gain, trumping some of the West's most iconic outings. 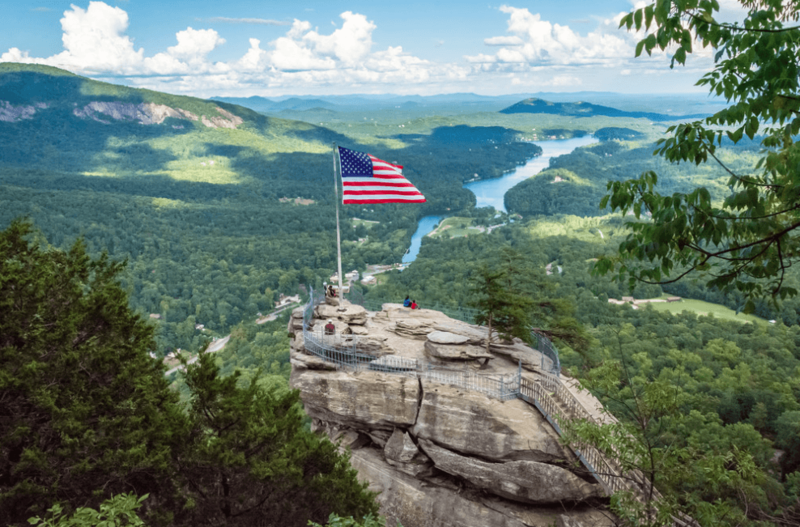 There’s always a hike right around the next corner in Asheville, and the local knowledge is abundantly shared by groups like Explore Asheville, which makes it easy to find the right trail for you any time of the year. From waterfalls to spring blooms, to tracking down majestic elk, the local advocacy groups will know what direction to point you in. Of course, Asheville has plenty to do off the trail too. With more breweries per capita than anywhere else in the country, there are delicious hoppy suds all over town. Or take a tour of the Biltmore, where you can get a behind-the-scenes look at America’s largest home. 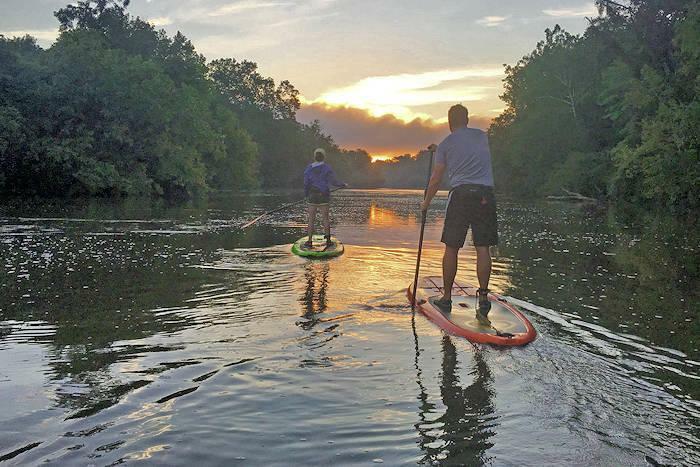 On hot days hit the French Broad River for some SUPing or tubing, or visit the Arboretum and Botanical Gardens for an urban oasis on days your weary legs need a rest. As if you didn’t have enough to check out here’s 50 more things to do in Asheville as soon as you land. As for making a life in Asheville, the economy is strong and employment has been steadily growing at about 2% per year. With just shy of 100K residents, there’s plenty of opportunities, especially in the Healthcare and educational fields. If you love beer enough to work in the field, New Belgium and Sierra Nevada both have breweries in town as well. 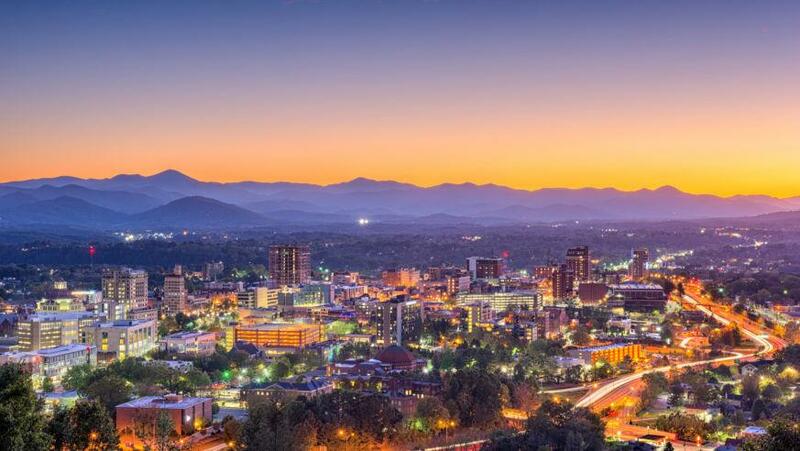 No matter what drives you to Asheville, there’s one thing we know for sure, once you nest here you’ll probably never leave. If you’re considering finding a little more trail in your life, we think Asheville may just be the spot for you. 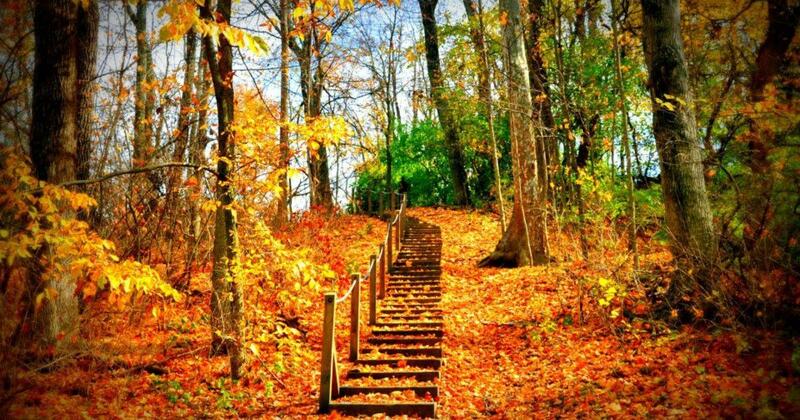 Rounding out our top 5 best hiking towns to live in, is Dayton, Ohio. This may be somewhat of a surprise to those unfamiliar with central Ohio as the Buckeye State is not known for snow-capped peaks or desert canyons. There’s still plenty of exploring to be done, however. Dayton is referred to by many as the Outdoor Adventure Capital of the Midwest, and it’s not just hot air designed to lure in weekend tourists. The push to revive Dayton as an outdoor destination is just getting started. 10 years ago Dayton was considered on the decline, their General Motors plant had just closed and many were stuck looking for work. It was the perfect opportunity for Dayton to rebuild and rebrand. Rebrand they did, with over 50 local trails totaling over 60 miles and hundreds of more miles in the surrounding area, Dayton is back! Dayton’s rebirth as an outdoor mecca is due to the area’s stunning hikes, flowy mountain bike trails and endless waterways begging to be explored. There are over 45 outdoor-oriented businesses and 50 outdoor clubs in the area creating a vibrant outdoor culture in Dayton. Dayton is also designated a Bicycle-Friendly Community by the League of American Bicyclists, thanks to its 30 miles of city trails that connect to more than 300 miles of bike lanes and paths. Dayton is home to the Five Rivers MetroParks which is an extensive system of open-spaces made up of 18 different parks all catering to the outdoor thrill seeker. With over 75 miles of trails, there’s everything from a simple stroll to challenging 10-mile outings along the rolling Ohio landscape. Land managers in the MetroParks system offer adult learning opportunities, group hikes and volunteer days for those looking to get more involved in the local hiking community. In 2013 the Buckeye Trail Association named Dayton as a “Trail Town” because of its advocacy and resources that support local trails like the Twin Valley Trail. The TVT stretches for 22 miles and is the perfect overnight getaway complete with babbling brooks and abundant wildlife. 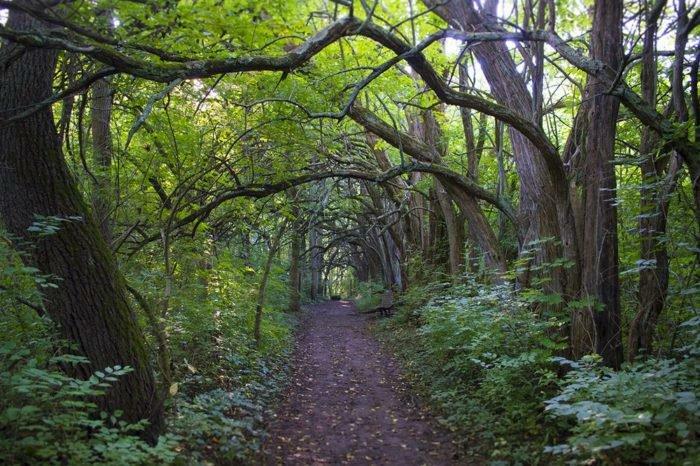 If you seek something a little more audacious, the North Country Trail, which is America's longest scenic trail at over 4,600 miles meanders right through the Dayton area, as does the 1,444 mile Buckeye Trail, the nation’s longest circular trail. The cost of living in Dayton is a major part of the draw to this little midwest town. As of the writing of this article, you could buy a 3 bed 2 bath house for under $1,500. Believe your eyes, yes that says $1,500, check out the local listings yourself. 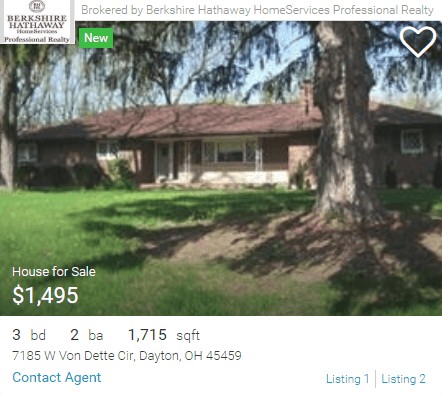 This is an extreme example of affordable housing, but there’s way more inventory than residents so property values are currently low, the median home price is only $66K which makes Dayton less than a third the price of the next most affordable town on our list. 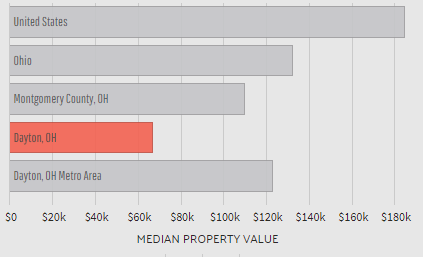 It’s not all great news, the median income was also the lowest on our list at $28K a year, but when you compare these two numbers Dayton scored off the charts for affordability. Although the town is seeing a slow decline in population, incomes have been steadily growing as are employment numbers. Plus being home to the University of Dayton and Wright State University, the town is full of young, energetic souls leading the renaissance. 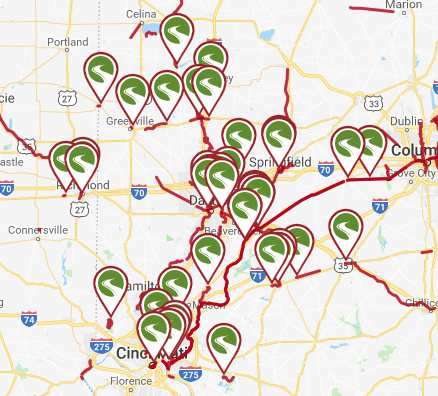 For now, you may have to bring your job with you to this Midwest destination, but the cost of living and the potential for future growth demands you take a gander at Dayton as you plan your next big move. 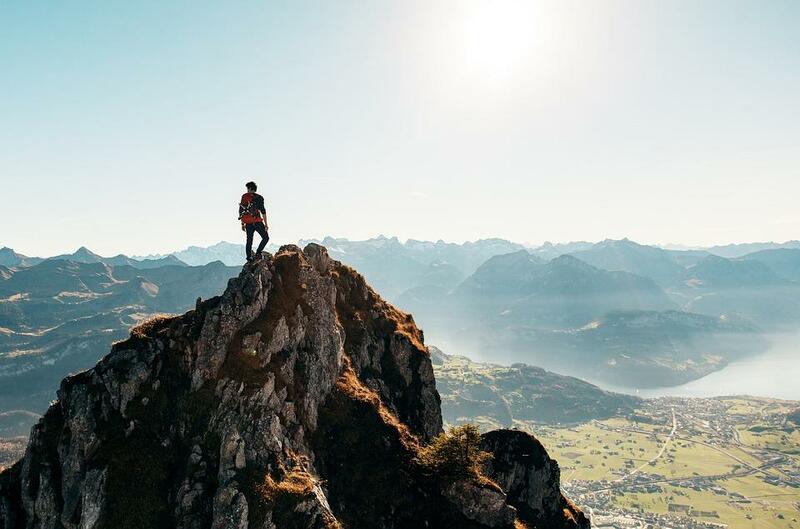 If you’re feeling the itch to exit the life you’re currently living and move somewhere that your hiking desires can be fulfilled be sure to consider these well-kept secrets. You won’t be disappointed in the adventure you’ll be setting out on. If these top 5 didn’t whet your whistle, check out the 10 honorable mentions below. They were all close in making the cut and we’re sure you’d find a piece of hiking heave in a move to any of them. Regardless of where you land, pack your bags, gas up the SUV, and set your sights on the town of your dreams, complete with promises of never-ending trails. 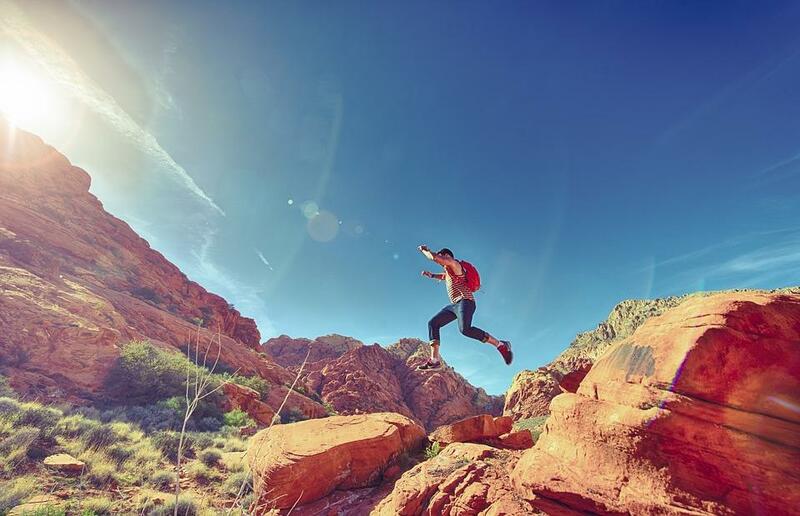 RunRepeat.com has developed a sophisticated CoreScore rating system to help you find the best hiking footwear, from hiking shoes and sandals to mountaineering, day-hiking, and backpacking boots, at the best prices on the web. We also get excited to write in-depth articles about the sports we love, check them out today. ***Feel free to use material from this page on your site, but please refer back to this original source. Reach out to the author at paul@runrepeat.com if you have usage questions or interview requests.